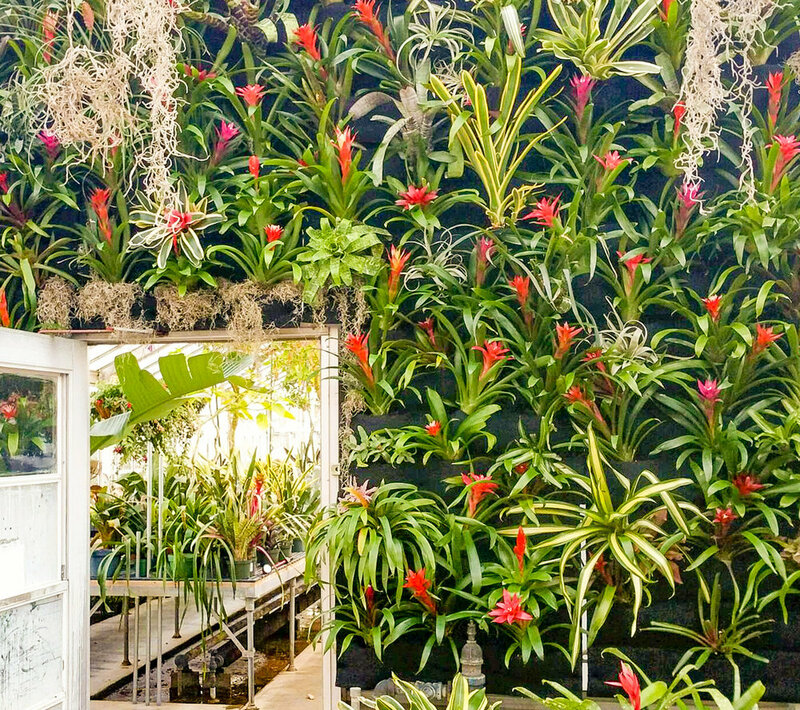 The famous Kingwood Center Gardens in Mansfield, Ohio received an enormous donation of bromeliads from botanist Jerry Raack. 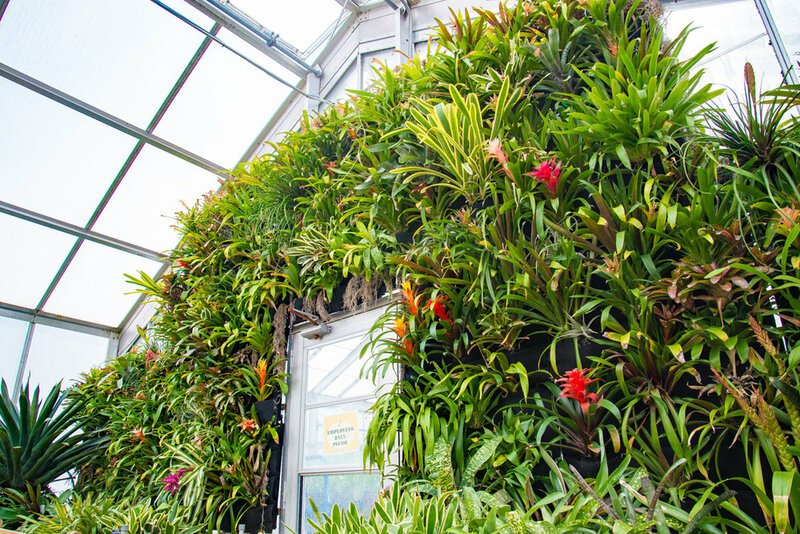 With no room to spare and eager to spruce up the plain wall of a heavily-visited attraction, they decided to grow vertically. Greenhouse manager Doug Schuster asked production coordinator Laura Mast to find the best system. Laura researched online and discovered Florafelt vertical gardens. Kingwood Center Garden greenhouse director Doug Schuster and production coordinator Laura Mast with the Florafelt Vertical Garden. Simple S-hooks hold the Florafelt Vertical Garden Planters at the Kingwood Center Gardens greenhouse. Doug and Laura are not the only ones delighted with the results - the plant wall is a huge hit with visitors.